Have I got a fun project for you guys today. I realize I have been lacking in the sewing department of late, so here is a fun, easy project. You could actually get away without sewing this though. If you have an iron and some Bondaweb you could avoid sewing all together. 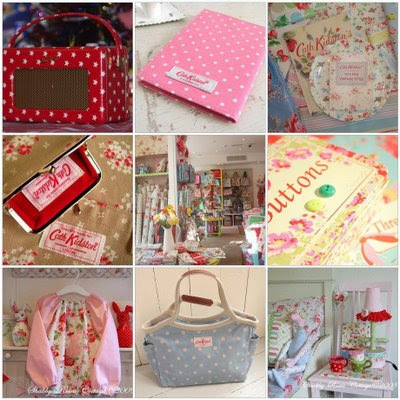 For those of you who are not familiar with Cath Kidston, let me entreat you. I LOVE this English designer. 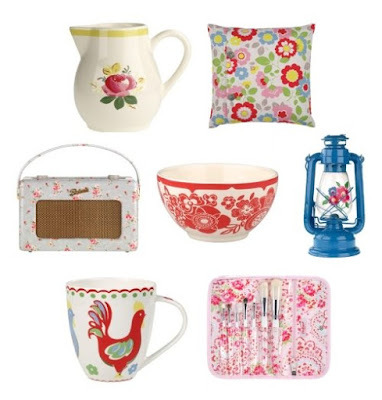 Look at her fresh, but vintage designs and housewares. 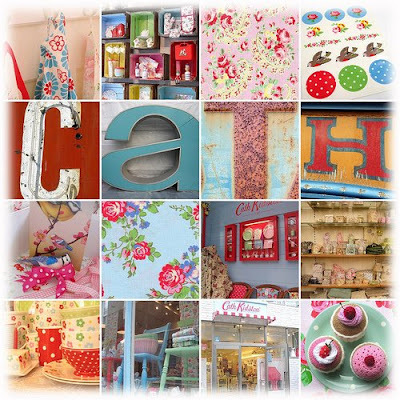 I was introduced to Cath Kidston by this cute lady below. My adorable mother in law Denise, all the way over in England. 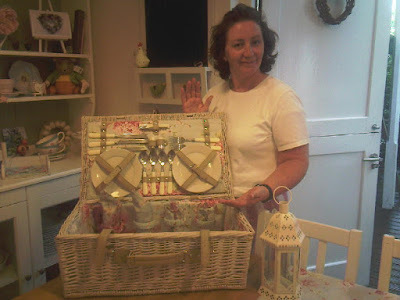 She just sent me a picture of her in her cute kitchen with her new picnic basket. This has been something she has wanted for a long time and she finally found the most beautiful picnic basket I have ever seen. 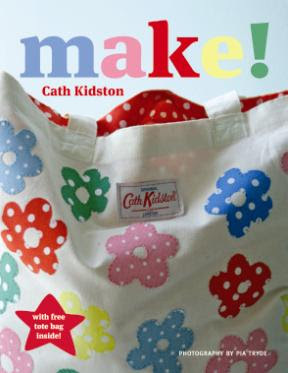 She was the one who sent me this book "Make" by Cath Kidston. 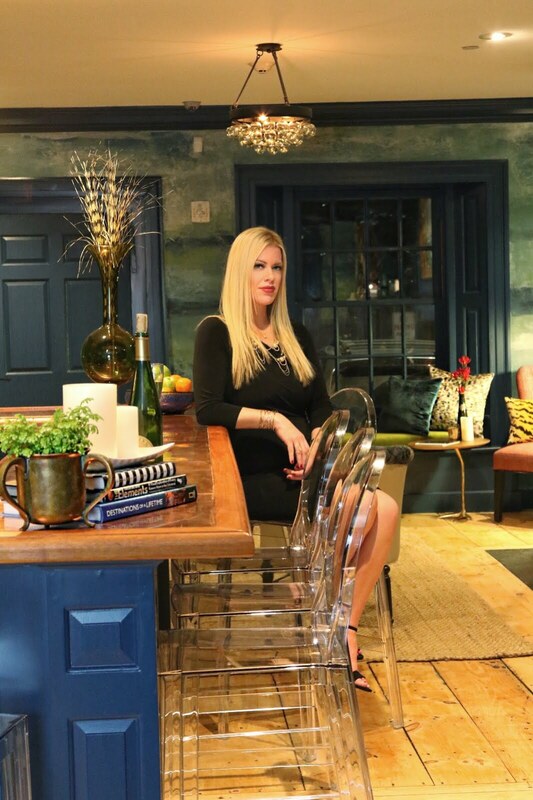 It is fabulous if you want some quick easy projects. This is the project. I have included the template of the roses for you to sew or iron on anything. 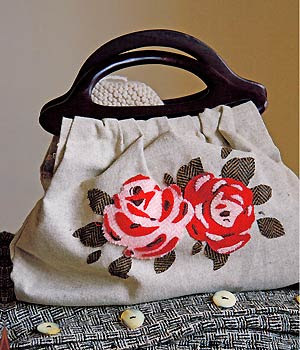 An old bag like this one could be transformed, or a cute sweater for the fall. Limitless possibilities. Click on the template and save it to your computer. You can resize it to whatever size you like. Have fun making something and send me a link if you do. I'd love to see what you do! Now to my question. Dun dun duuuun. I was very fortunate this last week. This blog of mine was featured here on "Just a girl". 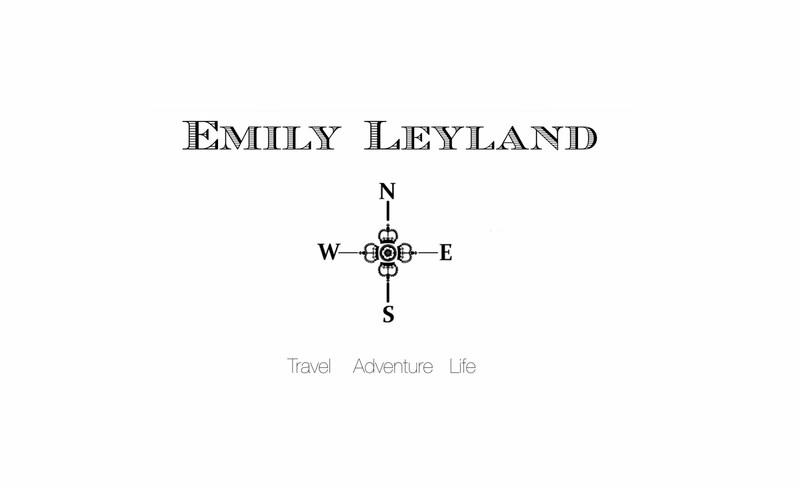 It is a FABULOUS blog to check out. One of my fav's. Which brings me to my question. Do y'all get my blog name? This was my thinking for those of you who don't get it. Heart-n-Soul became Art-n-Sewl because of my love of art and sewing. I totally get your blog name, and think it's very clever! I get ur blog name... but its because Crash made such a big deal out of it when you guys did that Contest! lol! I got it right away! And I love it! I think your blog name is great and so original. I'm proud to say I didn't need an explanation. I also totally got the blog name and its my first time here!! Ok I want that book. I love doing crafty stuff. Where by chance would I obtain one?